On this year’s annual guitar event of Primorska region music schools (ZPGŠ), we were joined by Maria Linnemann for a series of concerts, masterclasses and an interview. 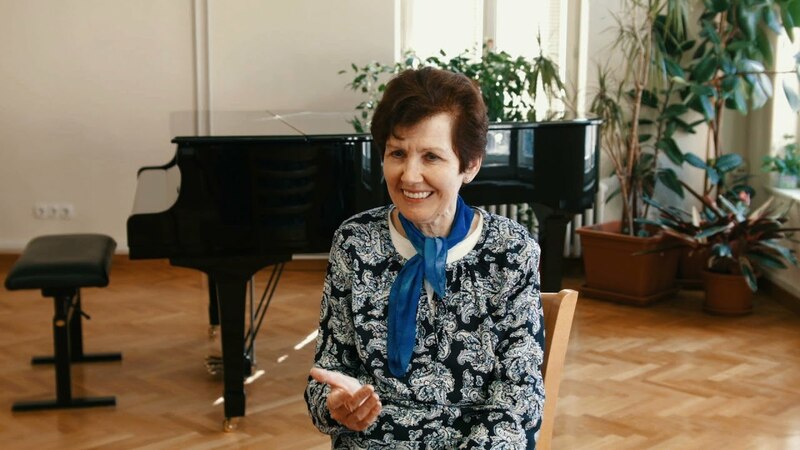 In this interview we’re discussing her work “Scenes From Don Quixote”, her transition from composing for orchestra and piano to composing for guitar and finally her experience on this event in Slovenia. Recorded on 31st March, 2017, using Zoom H5 portable recorder, Blackmagic Pocket Cinema Camera with Sigma 18-35mm f/1.8 lens and Zhongyi Lens Turbo vII. One of the highlights of the event was also the guitar orchestra concert. The orchestra consists of Primorska region’s primary and high school students, led by guitarist Josué Gutiérrez and under mentorship of Blaž Lamovec, Martina Kocjančič and Tanja Brecelj Vatovec. Ballet class of Manjana Milostnik (GŠ Koper), joined by dancer Niki Antolović, helped bring the story to life.